It claims to represent “three million businesses of all sizes, sectors, and regions.” The organization, that is, seems to speak for a country full of barbers and florists, car dealers, restaurant owners, and insurance salesmen, not to mention the small entrepreneurs who make up local and state chambers of commerce across the country. At least when it comes to energy and climate, though, that claim is, politely put, a fib. The Chamber of Commerce doesn’t have to say where it gets its money, but last year a group called U.S. ChamberWatch used one of the last disclosure laws still in existence to uncover a single pertinent fact. They went to the headquarters of the chamber and asked to see its IRS 990 form. It showed that 55% of its funding came from just 16 companies, each of which gave more than a million dollars. It doesn’t have to say which companies, but by their deeds shall you know them. The chamber has long opposed environmental standards. 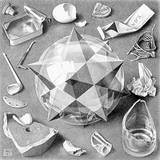 In the 1980s, it fought a ban on the dumping of hazardous waste. In the 1990s, it fought smog and soot standards. On climate change, though, it’s gone pretty near berserk. Kudos to the Greater Seattle Chamber of Commerce for being one of the local organizations listening to their own local and legitimate small businesses, and cutting ties to the Chamber of Fossils. Now, read that again. No suggestion here that 16 dinosaur companies adapt their business model to a reality that now includes melting ice caps, desertification and massive flooding, ever fiercer storms and acidifying oceans. Instead, they would prefer that every human being (and every other species) be so kind as to adapt their behavior and physiology to the needs of this tiny coterie of massive contributors. Forever. 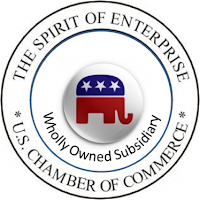 What’s become clear is that the U.S. Chamber of Commerce, an organization formed in 1912, more than a century after the first local chamber came into being, is anything but a benign umbrella for American small businesses. Quite the opposite: it’s a hard-edged ideological shop. It was Glenn Beck, after all, who said of the chamber that “they are us,” and urged his viewers to send them money. (Beck personally contributed $10,000 of the $32 million he earned in 2009.) The chamber’s chief lobbyist even called in to offer his personal thanks. It shouldn’t have come as a great surprise: Beck’s Fox News parent, Rupert Murdoch’s News Corporation, had given its own million-dollar donation to the chamber. Update: Take action! 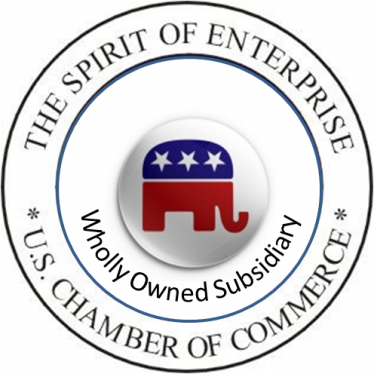 Join the movement by small businesses everywhere to take a stand: The US Chamber of Commerce does not represent my small business.